If you’ve ever lain in bed with a head full of swirling thoughts, then you know how active our brains can get—not to mention how that activity can affect our sleep. But the relationship between what our brains do and how we doze off goes much deeper than a night of relentless worries. In this article, we’ll look at the different types of brain activity, and what each can tell us about how sleep works. We keep hearing about “brain activity,” but what does that entail, exactly? In our previous articles, we mentioned how different organs like our eyes translate vital cues into biochemical signals that can then be transmitted to our brain. That chain of biochemical signals continues once the information reaches our brain. So far, research has identified four main types of brain waves, differentiated according to their associated levels of brain activity. This is one categorization system that doesn’t start with a—or, in this case, alpha. Beta waves are associated with conscious activity and normal periods of wakefulness. When the brain is busy, alert, and actively working on tasks or processing problems, it’s in the so-called beta state. When measured, beta waves demonstrate low amplitude (a smaller difference between the crests or troughs and the wave’s baseline) and record around 12 to 40 cycles per second. As we’ll see later, that’s a relatively high frequency compared to other types of brain waves. This makes sense: we can expect electrochemical impulses to fire faster when the brain is awake and deeply engaged. Since the brain is also more likely to be processing different things at once, these impulses tend to be highly unsynchronized: different regions of the brain are firing at various times, each busy with its own functions. Beta waves were discovered by Dr. Hans Berger, the German researcher who also invented the EEG. However, as these waves’ name implies, they weren’t the first discovery that Berger made while recording brain activity. That honor goes to our next category: alpha waves. In contrast to beta waves, alpha waves are associated with a relaxed or resting state. They’re particularly prominent when our eyes are closed, but they also recede once we start getting drowsy. This implies that alpha waves are more related to idle states rather than full-on inactivity, though researchers are still trying to pinpoint what brain functions these waves are associated with. If someone hooked you up to an EEG while you were kicking back with your eyes closed, meditating, or otherwise taking a breather, you’d likely see a chart dominated by alpha waves. Graph measurements of alpha waves are characterized by high amplitude (a greater difference between the wave’s crests or troughs and its baseline), especially in comparison to beta waves. Alpha waves are slower than beta waves, registering only around 8 to 14 cycles per second. Our next category of brainwaves takes us even deeper into unconsciousness. Theta waves are typically produced when we’re drowsy, lapsing into sleep, or in the earliest stages of sleeping. When our brain is in a theta state, it’s no longer engaged and attentive to outside stimuli or information. This implies a deeper state of rest than the idleness of alpha state; some researchers have also noted that, thanks to this relaxed outlook, people often report freer idea generation during theta states. When measured, theta waves continue the trend of increasing amplitude and decreasing speed. These waves tend to be larger than alpha waves, but they occur only in cycles of around 3 to 8 per second. The final category of brainwaves takes us to the brain’s lowest levels of activity. Delta waves arise when we’re in the deepest states of sleep—so deep that our brain is no longer actively processing any information. Think of this as akin to, well, your computer’s sleep mode: you don’t have “apps” or regions of the brain firing at different intervals they engage in various tasks; consequently, neurons are simply in what we might imagine as “maintenance” mode, and they’re firing in sync. This results in waves with the largest amplitudes and the slowest cycles: around 2 to 4 per second. Like we said earlier, the brain is the seat of consciousness. As we transition from active wakefulness to restful slumber, the process is reflected in our brain activity. In fact, one type of brainwave will usually dominate brain activity measurements depending on what state of consciousness you’re in at the time. When it comes to sleep, that means a gradual shift from beta waves (wakefulness) to alpha waves, and finally to theta and delta waves. For the actual phases of sleep (as opposed to slowly dozing off), only those last two types of brainwaves—theta and delta—are likely to dominate in the brain. This is the point when our brain activity shifts to alpha waves. There’s no standard duration for the shift, which can take anywhere from 1 to 10 or more minutes. As the body is mostly in alpha state, our muscles aren’t completely relaxed yet, though there’s usually a significant decrease in autonomic indicators like our breathing, blood pressure, and body temperature. Towards the end of this stage, the brain shifts out of the alpha state and enters theta state. Before totally dozing off, some people—especially those with irregular sleep patterns—might experience a falling or twitching sensation: a hypnagogic jerk. At this point, the brain mostly emanates theta waves, signaling that it’s disengaged from outside stimuli and active processing. Subsequently, our body enters a deeper state of relaxation: our muscles loosen and settle; autonomic functions downshift further, so we get slower heartbeats and even lower core body temperature. You’re far less likely to wake compared to Stage 1. This stage usually lasts around 20 minutes, and it accounts for almost half of the time we spend sleeping every night. This is the point when our brain lapses into delta state, dominated by large, languid delta waves. We are deep into unconsciousness and, therefore, unresponsive to all but the most intense or persistent stimuli. This stage of sleep accounts for around a fifth of our total sleeping time, but it tends to occupy smaller sections of our overall sleep cycle as the night goes on. By the time we enter the early morning hours, we are likely no longer passing through the “delta sleep” portion of our sleep cycle. We know this as the “dreaming” phase of our sleeping period, and our brain activity actually explains why: at this point, our brain is emerging from delta state into theta state. Remember what we said above, about researchers describing theta state as fertile ground for generating ideas? Theta waves aren’t the only ones present when we dream, though. In fact, REM sleep might be better described as a “mixed state.” The brain activity of a person in REM sleep can resemble that of someone who’s closer to wakefulness: theta waves intermingle with alpha waves and even some beta waves. The transition from delta waves to more active brain waves also explains why autonomic functions like breathing, heartbeat, body temperature, and even blood pressure tend to rise during this stage. Unsurprisingly, this is also the phase of sleep where we get unusual sleep activity like sleepwalking. REM sleep is the last phase of a standard sleep cycle, and it tends to take up longer sections of time as the night goes on. It takes us around 90-100 minutes to go through all four of these stages. This means we typically go through several cycles of these sleep stages in a single night. 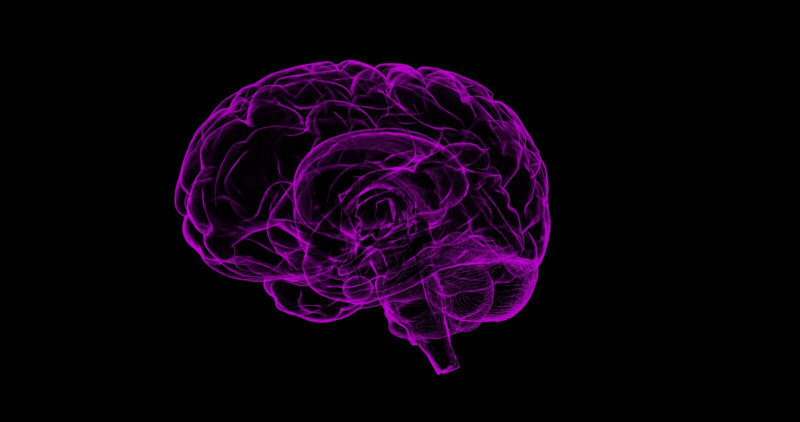 Our brain shifts gears every step of the way, and those fluctuations in brain activity explain a lot about what we experience as we go through each stage of sleep.